This unusual looking handheld is currently live on Indiegogo, looking to raise $400,000 to fund the mass production. 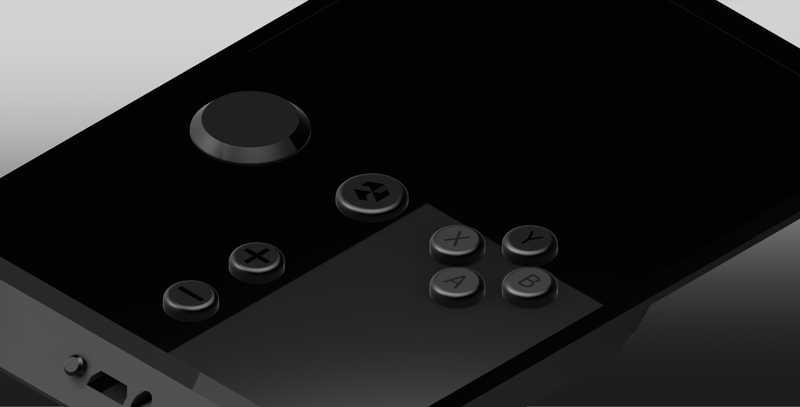 Looking at the renders it’s an onorthodox design, having gone for a smaller 3.5″ screen and a portrait style layout. Although the console runs on Android, a custom developed UI sits on top and unlike other similar products it is not designed for the Google ecosystem. You will be able to do some of the things that an Android ROM allows such as watching youtube and messaging but the primary focus of this machine is to play games developed specifically for the device, which is why the team are also looking for some talented developers to help give the console a good start in life. The guts of this machine include the General Plus GP33003, which is coupled with an PowerVR SGX531 GPU. There are just over 30 days on this project, so if you fancy supporting the effort then head over to the page and make a pledge. A short summary and promotional video for the device below. What was this even supposed to be? It looks like a handheld with no screen. It’s a shamelessly crappy campaign with no effort behind it. The video has nothing to do with the console, the console is just a render and the whole thing stinks of unprofessional behavior. If you want to grab four hundred thousand dollars, please put some effort in it. So: specs that don’t match the SoC they quote, poor marketing, no backers, and don’t actually compare to any other android handhelds? I’ll pass thanks. Funny thing is, this thing probably matches the old JXD S7100 gaming tablet. Except with a smaller screen. From watching this, I seriously dont think much of it. The hardware specs are nothing to shout about, set up is like looking at a old competitor to gameboy with a touch screen. Modified OS looks to be really basic and poor interface from looks of it. I love that it is portrait style handheld. Although all they have is a crappy CAD and a video that says nothing about the product. Asking for 400k on kickstarter? It seems pretty sketchy to me the UI that is shown looks like it’s just a photoshop image. I don’t understand how they can be promising units by October-December already. Considering how barebones their campaign page and their media is, they probably should’ve set their launch to December 2015 instead. Then perhaps they would find out how to find the funds to put in a better SoC. One question about the article though: the Fusion Go campaign says that their handheld will have 1 GB of RAM, yet the GP33003 that you listed as its SoC only supports up to 512 MB RAM. So wouldn’t this thing actually be using a GP33009, since that supports 1 GB? Even though I’m pretty sure this won’t be successful, I WAS going to try to help fund it…until I read their story. They claim that the bigger handhelds on the market are obsolete and that they’re the “next-generation” handheld, yet they’re using weaker specs than the Vita. Not only that, their number of inputs is less than what’s on the 3DS and Vita. Heck, if that analog nub of theirs doesn’t have a click button, then they’ll have less inputs than even the Caanoo and Tapwave Zodiac. Of course they have that multi-touch display, but with it above the buttons I don’t see it being used in conjunction with said buttons very often. That was not a compelling ad. I don’t even know what it was about.